After some important German tuning houses have modified the performances and the design of Dacia Duster, one Romanian tuning house is ready to impress. 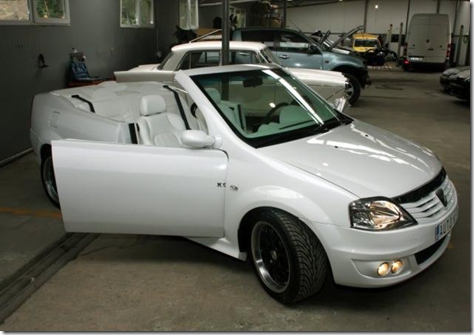 The Auto K9 tuning house has presented the Logan convertible. The Logan Cabrio has two doors, is white both inside and outside, and looks great. The Logan front doors were lengthened and the rear doors no longer exits. On the inside, a white leather covers the seats and a more powerful audio system was installed. 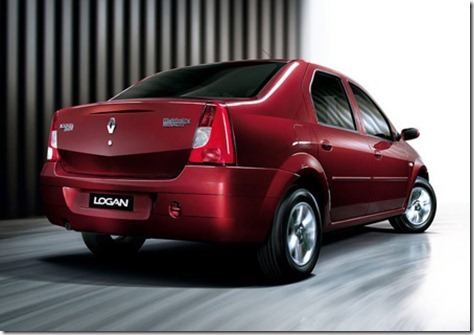 The Logan Cabrio only problem is that it doesn’t have a soft or hard retractable roof. Therefore, this model can be used only in the summer, after studying carefully the weather forecast. The Dacia Logan Cabriolet is most likely to remain a concept.